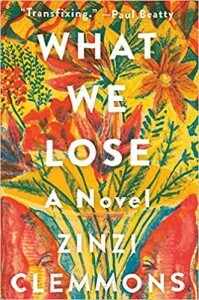 Zinzi Clemmons’ debut novel What We Lose is a mesmerising journey through loss and grief that unravels identity and the struggles that face post-Apartheid South Africa. The language is spare and haunting, as the reader uncovers fragments of drawings and maps along the way. 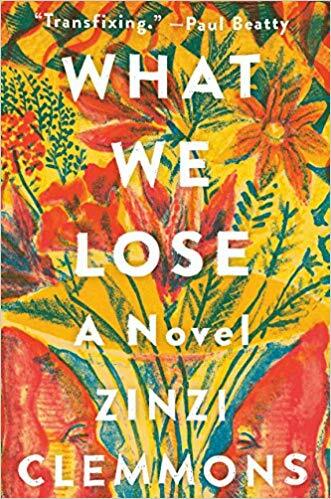 Zinzi and her publisher, Harper Collins, have given Friends of the Feminist Library signed copy of this beauty in an exclusive offer. Friends don’t have to do anything: winners will be picked at random! Don’t forget if you are chosen, to tweet us a picture of you and your prize, or even review the book for us. The draw will be drawn 15 Sept. This is a haunting debut about grief and identity. How and when did the novel begin? The book actually began as a series of journal entries that I took when my own mother was dying of cancer. These entries comprise some of the observations in hospitals, explanations of the dying process, the musings about grief. It wasn’t until later that I revisited those pieces with the intention of turning them into a book. The core themes explore race, class and gender. To what extent is the book autobiographical? Many of the biographical elements are similar to my own life, and in general, Thandi’s perspective matches up well with my own. But many of the observations about identity are also common to many black women, and even women of color in general. The narrative moves from story-telling to song lyrics and academic studies. Was that deliberate to try fragment the reader’s journey through the book? Caught between these forms, as Thandi, the central character is caught between cultures? I’ve always written in a fragmented style. Again, this is one area where Thandi and I match up: we don’t see the world as continuous, and have a hard time confining any idea to a single narrative. The fact that the book also addresses grief—and the specific way I wrote this book—adds another layer of fragmentation and questioning. In that way, the form of the book kind of naturally conforms to its subject matter. What research did you draw on, and how important is research to your writing? Have you visited the Feminist Library? A lot of my research shows up in the book itself. The parts about Kevin Carter, the excerpts from the Truth and Reconciliation Commission report, the stuff about serial killer’s wives—these all represent pretty big areas of interest for me, and I was excited to include them in the book. I’m always researching weird and obscure things, and I’ll sneak them into what I’m writing if I can. Unfortunately, I haven’t visited the Feminist Library yet, but I’ll be sure to on my next visit. Where can we hear you read? I currently live in the US and don’t make it over to London as much as I would like, but there are a few recordings of me floating around on the web. Here’s me reading an excerpt fromWhat We Loseon the Poets & Writers website.